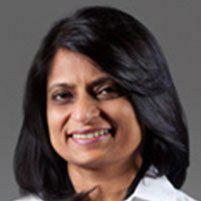 Dr. Chhavi Agarwal is internationally recognized for her published research and treatment of adrenal disorders. At Pediatric Endocrinology of New York, with locations in Flushing and Scarsdale, New York, she helps countless young patients suffering from various adrenal disorders. Addison’s disease is a disorder in which the adrenal glands produce insufficient amounts of the hormone cortisol, and sometimes the hormone aldosterone, as well. Cortisol affects numerous functions in the body, including blood sugar levels, metabolism, inflammation, the immune system, and memory formulation. Aldosterone regulates sodium in the kidney, salivary glands, sweat glands, and colon. What is an overactive adrenal gland disorder? Androgen. Too much androgen can cause exaggerated male characteristics in either gender. This includes excess facial and body hair, baldness, acne, muscle mass, and a deeper voice. Cortisol. An excess of cortisol can result in a disease known as Cushing’s syndrome. Symptoms of Cushing’s syndrome are numerous and include: upper body obesity, a moon-shaped face, increased fat around the neck and thinning of the arms and legs. Aldosterone. An overproduction of aldosterone can lead to increased blood pressure, weakness, muscle aches, spasms, and in rare instances, even paralysis. How are adrenal gland disorders diagnosed and treated? A leading pediatric endocrinologist with more than 20 years of experience, Dr. Agarwal begins with a complete medical history, followed by a thorough physical examination that may include blood and/or urine testing and imaging procedures. From here she will confirm a diagnosis and discuss treatment options. These may entail medication or surgery, depending on the specific condition, age and health of each patient.